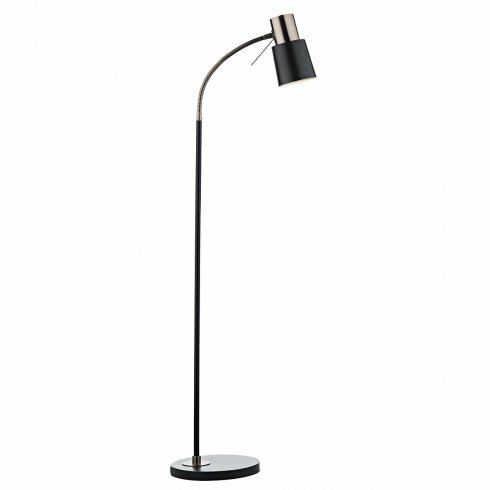 Dar Lighting Bond single light floor lamp features a circular design base with a tall slender stem and adjustable spot lamp head all in black and contrasting copper finish. The product code for this Dar floor lamp is BON4954. The Bond floor lamp is both stylish and practical as the goose neck stem and adjustable head enables you to direct light where required and the black and copper finish creates a modern look perfect for the home office environment. This product is double insulated and is operated by an foot pedal switch. A matching table lamp is available in this range which can be ordered on our website.